The sun sets on treated wheel cactus at Mt Buckrabanyule. The plants paint quite a striking picture with the west sun on them. 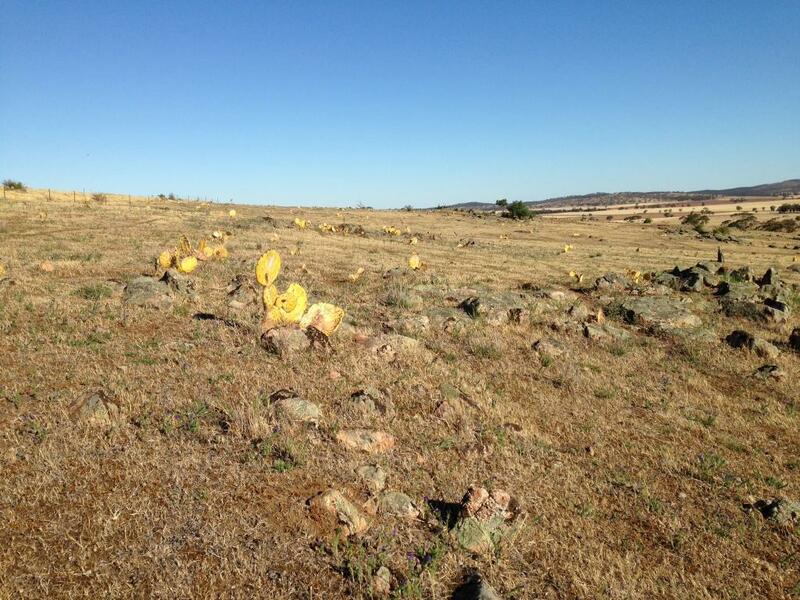 The cacti were stem injected with glyphosate at a working bee in November as part of the Network’s Wheel Cactus control project.